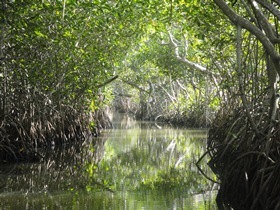 Tour through the mangroves in JUAN POLO swamp in a canoe. 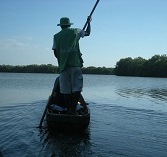 This tour is a mixture between fun contact with the nature and the beach. 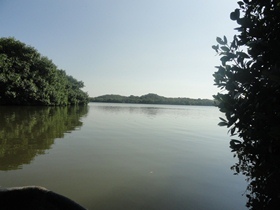 Starting in the city of Cartagena to get the mangroves located in ¨La Boquilla¨ a fisherman small village, where we will see an ecosystem rich and diverse, full of fish. 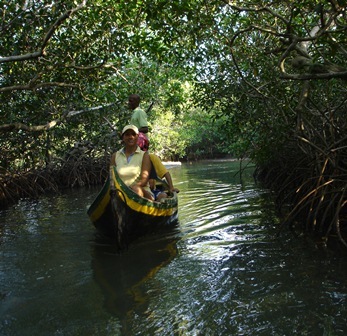 A native guide expert in this area; starts our tour around the swamp across the mangroves. Pick up at the place of your request. Any day you want minimum of 2 people. Special discount from 10 people or more (SEE PRICE LIST). Contact us by phone, skype, email or visit us at our office.